Delray Beach is a vibrant cosmopolitan small city between West Palm Beach and Fort Lauderdale. Spikowski Planning assisted the Treasure Coast Regional Planning Council and city staff in creating a new code for Delray Beach's central business district, which includes a proposed Tri-Rail commuter rail station and adjoining neighborhoods to the west and east. The new CBD zoning district has four sub-districts: Central Core, Beach, West Atlantic Neighborhood, and Railroad Corridor. 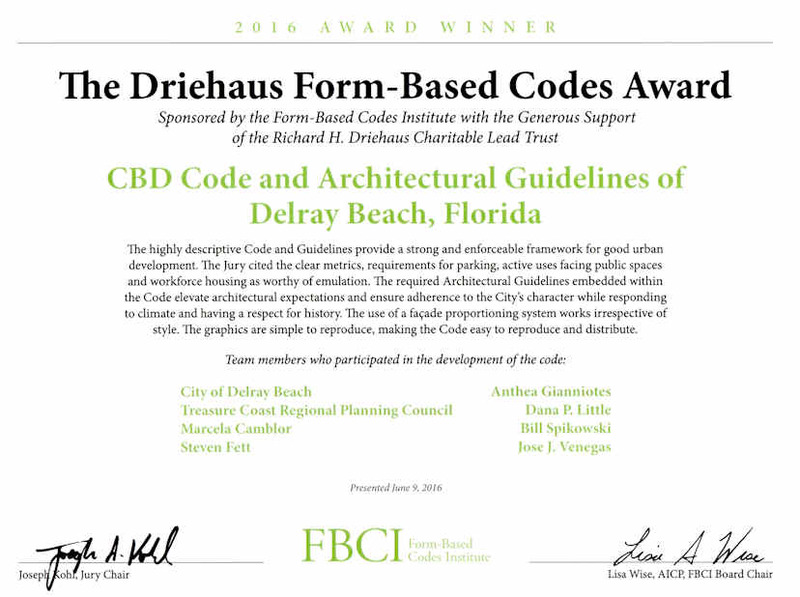 New architectural guidelines were adopted as part of this code overhaul. "This highly descriptive Code and Guidelines provide a strong and enforceable framework for good urban development. The clear metrics, requirements for parking, active uses facing public spaces and the workforce housing are worthy of emulation. The required Architectural Guidelines embedded within the Code elevate architectural expectations and ensure adherence to the City’s character while responding to climate and respecting history. 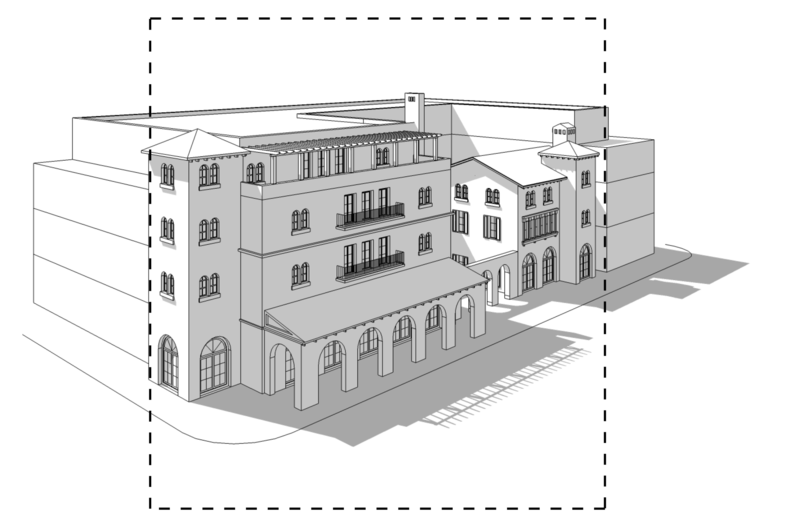 The use of a façade proportioning system works irrespective of style. The graphics are simple to reproduce, making the code easy to reproduce and distribute."